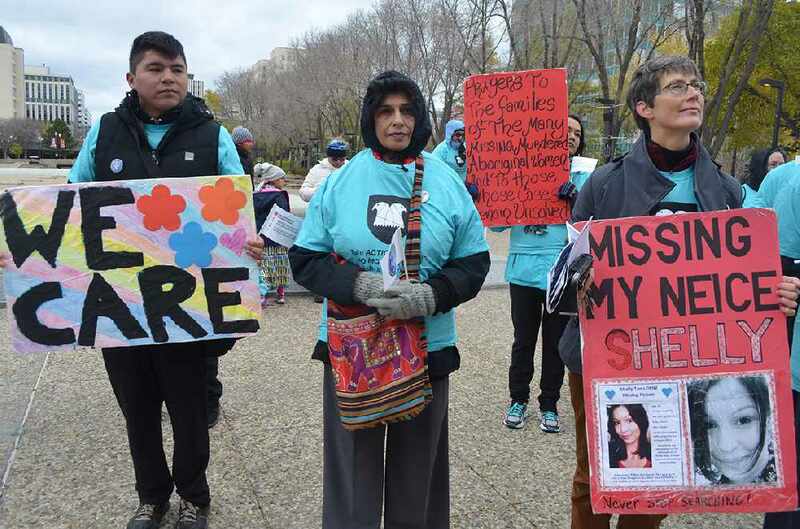 An annual march and rally in Edmonton presented emotional and passionate pleas for justice and action on the issue of missing and murdered Indigenous people. 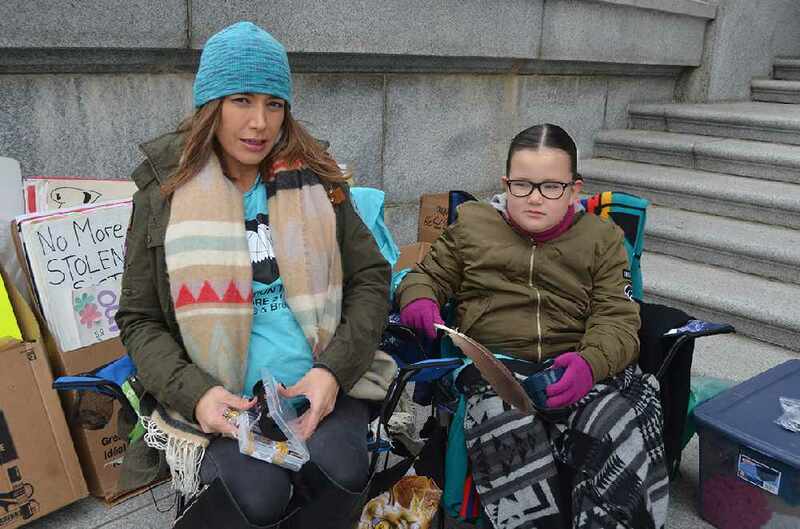 The annual Sisters in Spirit march and rally took place at the Alberta Legislature on Oct. 7 and saw about 100 people come out to show their support for action and justice for Indigenous women and girls, as well as men and boys. 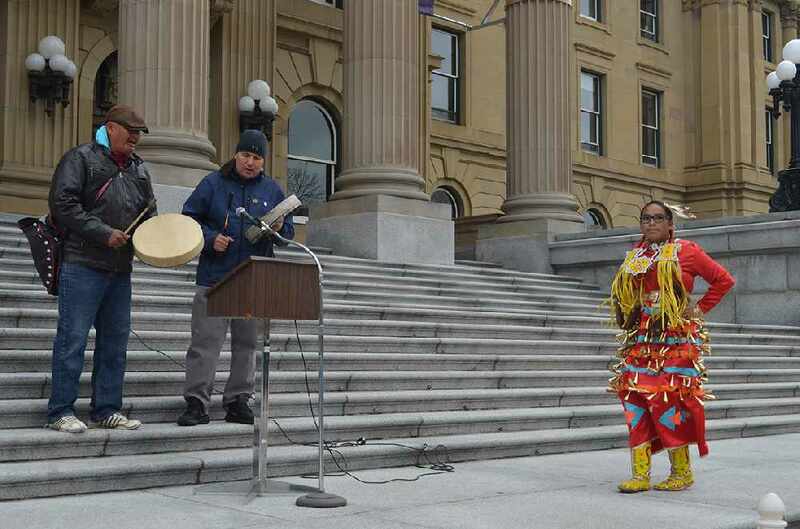 Potts' daughter Lorraine performed a jingle dress dance, a healing dance, while Shane Potts and Lloyd Cardinal sang and drummed. 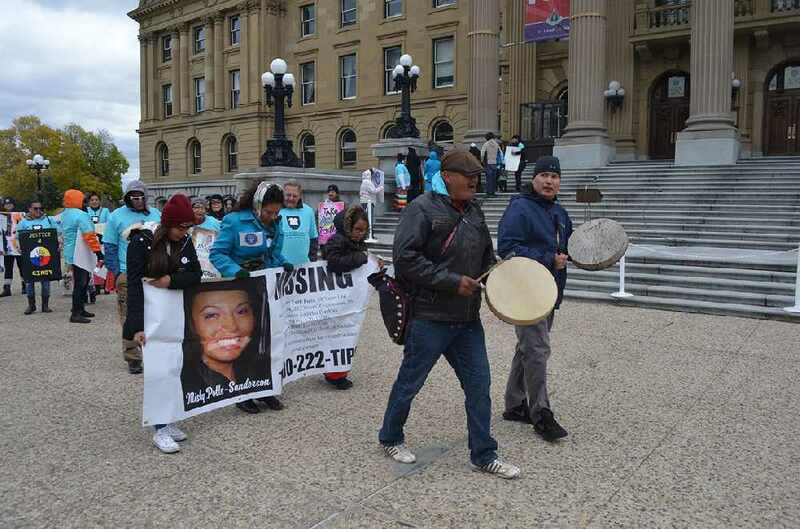 Participants later walked around the perimeter of the Legislature fountains holding signs and placards, most of them featuring names and photos of someone who is missing or murdered. 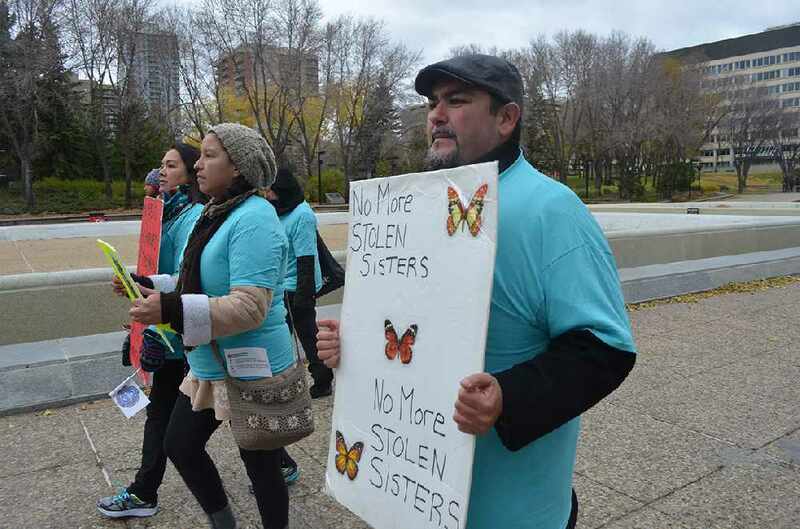 Sisters in Spirit began in 2005 as a national initiative led by Indigenous women to conduct research and raise awareness of the high rates of violence against Indigenous women and girls in Canada. 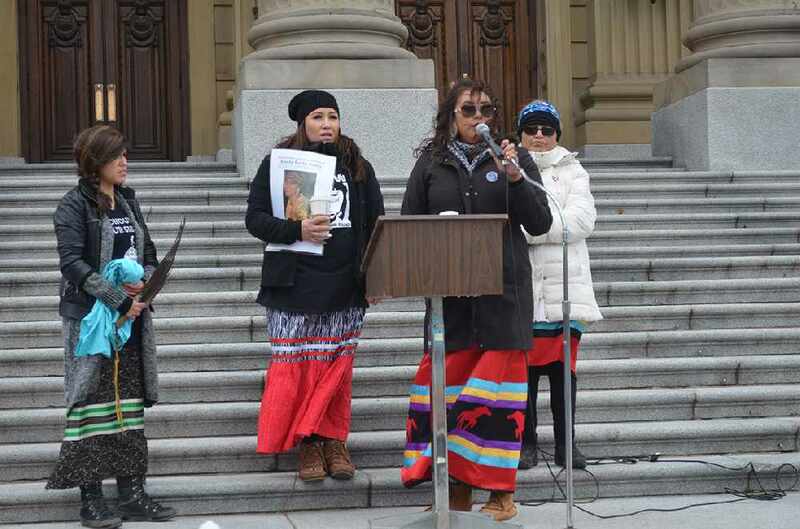 Under the organization of the Native Women's Association of Canada (NWAC), annual vigils and marches for missing and murdered Indigenous women are held on or around Oct. 4, a day chosen to be a movement for social change. Since beginning with 11 such vigils in 2006, the number has grown to hundreds across the country in more recent years. “This issue affects so many families. There are so many who are still missing, so many whose lives were taken and there has been no justice, no answers to the families who are waiting in vain,” said organizer April Wiberg in her remarks. She also raised the need for the government to address the issue of domestic human trafficking. Wiberg is the founder of the annual Stolen Sisters and Brothers Awareness Walk. 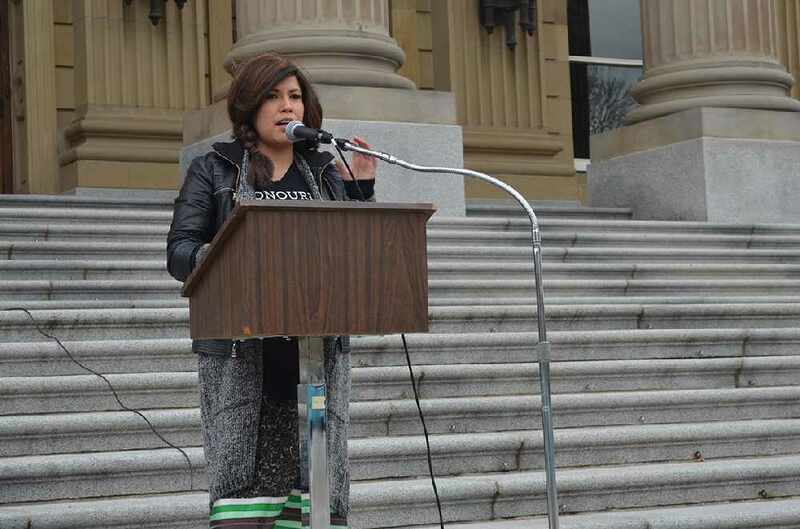 While not a founder of Sisters in Spirit, her group has supported the event every year and has begun to address the issue of missing and murdered Indigenous men and boys in addition to women and girls.